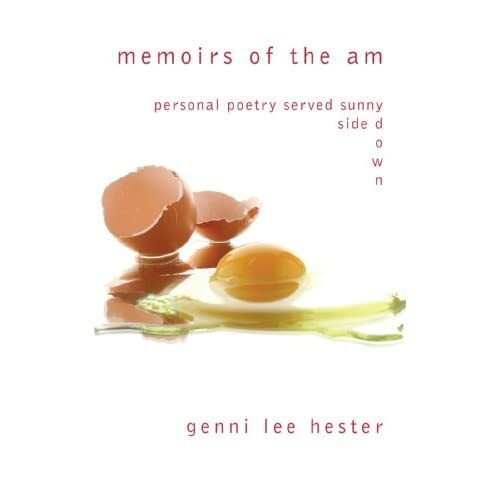 Today I share a poem from my book memoirs of the am. May it both inspire you and help you find comfort during the holiday season. Enjoy every bite guilt-free… Wishing you and yours a very Happy Thanksgiving! Will most likely come to mind. Don’t worry; it’s part of the design. I want to prosecute the crime of this confusion. To those waiting to lose weight. Waiting to weigh in. With our money, time, and health. Waiting for truth to weight-loss cannot be bought. And follow your heart – set yourself apart. Categories: FOOD, Poetry, Uncategorized | Tags: art, autumn, beautiful, books, Breath Awareness, depression, fall, food, happy, health, healthy, healthy-living, inspiration, life, Love, meditation, memoirs of the am, new york city, nyc, philosophy, photography, poetry, travel, travel photography, Vegan, Vegetarian, vibration | Permalink. Lisa Miller, a psychology professor at Columbia University, explains the health benefits of prayer. The Today Show interview also includes young people’s perspectives on what it means to be spiritual and/or religious. Categories: Wellness Wednesday | Tags: A Course in Miracles, bhakti yoga, Breath Awareness, Chi Running, death, depression, Eastern Philosophy, healthy, healthy-living, inspiration, inspirational, life, Love, meditation, new york city, nyc, philosophy, poetry, Prana, Pranayama, Qi, travel, Vegan, Vegetarian, yoga | Permalink. There is a culprit who terrorizes me today. It is not a person, no woman or man. It is not a bomb ticking away with a song. It sits in my living room with one black cord. It turns on and off, yet it never seems to stop. It displays one point of view. Why I shouldn’t really care. It shows Cowboys and Indians on a global playing field. While they’e equipped with a bow. On a deserted island in some bay. About this culture and who we are today. Yet, why is there so much it forgets to play? Categories: Wellness Monday | Tags: depression, inspiration, life, media, new york city, nyc, philosophy, poetry, t.v., television, terrorism | Permalink. I don’t necessarily mean that as a bad thing, but it certainly is not wholly good. It, in some sense, is simply what it is. When we want alignment, we try to put all of the pieces of the puzzle together — we ‘figure’ out how it will all work. Since the new year I have been attempting to find alignment through allowance instead. It is a bit harder for my personality type, but I do feel myself more absorbed in what I do (even if it means less marked off the to-do list). Therefore, for the new moon today I reassert my commitment to allowance with recognition that allowing sometimes results in trying. And so the cycle continues. What is your power intention? Categories: Wellness Wednesday | Tags: A Course in Miracles, Aquarius, bhakti yoga, Breath Awareness, depression, Eastern Philosophy, healthy, healthy-living, inspiration, inspirational, life, Love, meditation, MeditationMoment, new moon, new york city, nyc, philosophy, photography, poetry, Prana, Pranayama, Qi, travel, Vegan, Vegetarian, Vegetariano, yoga | Permalink. I must share with you my love for M.C. Yogi’s new album, Only Love is Real. It was released on January 6th (my birthday!). The past couple of weeks I have been listening to the words and letting the energy of it marinate. I thought: “What better week than Valentine’s to write about it?” Only love is real, but to truly feel that with someone else, we first need to align our own energy. If you need inspiration or if you are ready to take your vibes to a whole new level, you should definitely check out Only Love is Real. It is easy to find high vibe playlists, yet a full album is a rare gift. Add this energy to your sadhana or daily commute; you will feel a difference. Track 6 Light House – This soft yet upbeat song is mesmerizing. Track 9 Dancing in the sun – Are you having the winter blues? This song will get you over it fast! Turn it on during sun salutations and feel the heat. Track 11 Heaven is Here – Listen to this track during the first couple of minutes of meditation or while you are on an especially hectic commute. Simply beautiful. Thank you for reading! Enjoy your week. Categories: Art, Wellness Monday | Tags: A Course in Miracles, bhakti yoga, Breath Awareness, Chi Running, death, depression, Eastern Philosophy, health, healthy, inspiration, inspirational, life, Love, M.C. Yogi, meditation, music, new york city, nyc, Only love is real, philosophy, poetry, Prana, Pranayama, Qi, travel photography, Vegan, Vegetarian, Vegetariano, yoga | Permalink. Categories: Art, MeditationMoment | Tags: albert camus, Breath Awareness, depression, healthy, healthy-living, inspiration, inspirational, life, Love, meditation, new york city, nyc, philosophy, poetry, quotations, tbt, throw back thursday, Vegan, Vegetarian, Vegetariano, yoga | Permalink. Brrrrrr… it is cold here in NYC. I have been craving something rich and satisfying for breakfast. Oats are especially yummy this time of year, but if you do not mix-up the toppings you might get a lil bored! The other morning I was rummaging through my cabinets to find some perfect ingredient to create a new buzz to my morning routine. Chocolate is always the right answer. Throwing a spoon or two of cocoa into the oats creates a whole rich and satisfying breakfast. Try it out…. oh, and coffee doesn’t hurt either ;). last minute of cooking throw in: cocoa, vanilla, and fruit (I love to warm berries up but prefer bananas on top). put into bowl and add remaining toppings. Categories: FOOD, Vegetarian Cuisine | Tags: depression, food, food photography, gluten-free, healthy, healthy-living, inspiration, inspirational, life, Love, meditation, new york city, nyc, philosophy, photography, Vegan, Vegetarian, Vegetariano, Winter, yoga | Permalink.